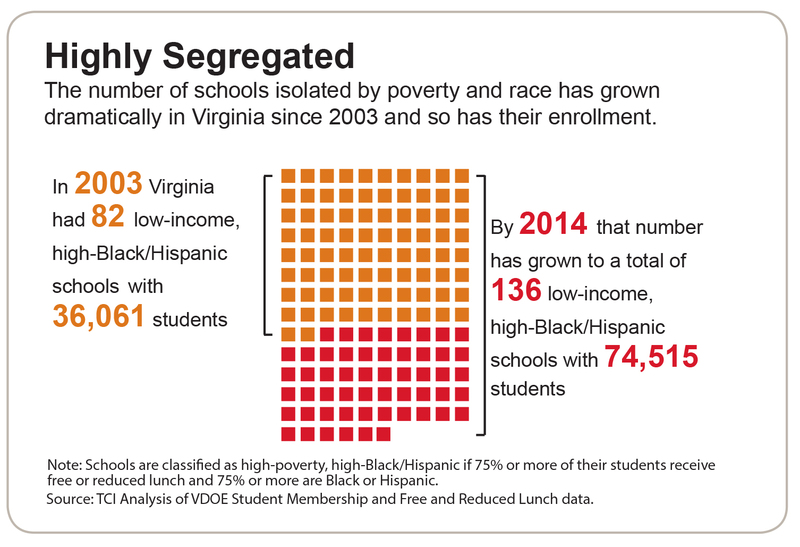 An alarming statistic came to light from this article, stating that over the past decade, the number of high poverty, high Black/Hispanic schools has increased from just over 36,000 students in Virginia to around 74,500 students throughout the state. These students account for 17% of all Black children attending public school, and 8% of Hispanic students. So how did this happen? 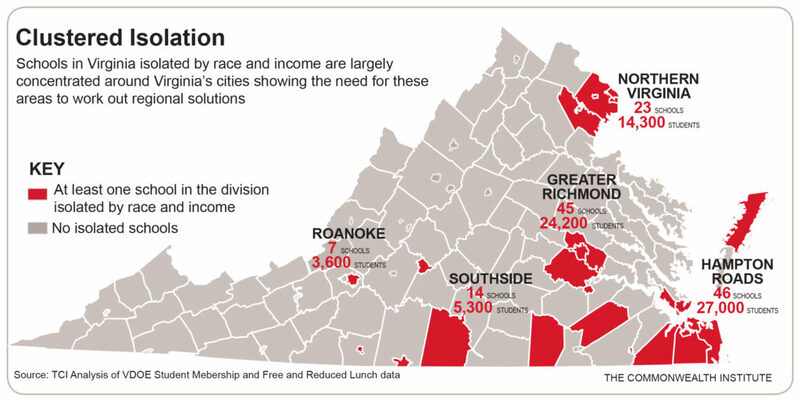 As can be seen from this map showing the locations of the isolated schools in Virginia, the Greater Richmond Region has an alarming 45 schools, encompassing 24,200 students. In fact, the Richmond City school district houses one of the highest numbers of isolated schools in the state, with Henrico county not trailing far behind. 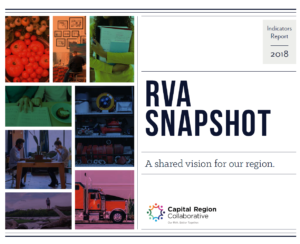 This increase in isolation is due to many factors, including but not limited to lack of transportation for impoverished families, lack of education choice, and the segregation of towns and counties throughout Virginia. Solutions offered by Commonwealth Institute include increasing state and local funding for high poverty schools, and promoting school choice to members of various communities. A system labelled controlled-choice is one that has been tested around the country to various degrees of success, and would allow for families to apply to schools of their choice, then those schools’ accepted students list would be made sure to have diversity in not only socio-economic status, but in race as well. Transportation and funding would have to be increased, which means that the only way change will occur is if education is shown by the public to be a priority. To learn more about education statistics in our region , visit our education priority area, and learn how you can get involved today.